If anyone ever says they've never had even the smallest struggle with a smokey eye I know they are lying. 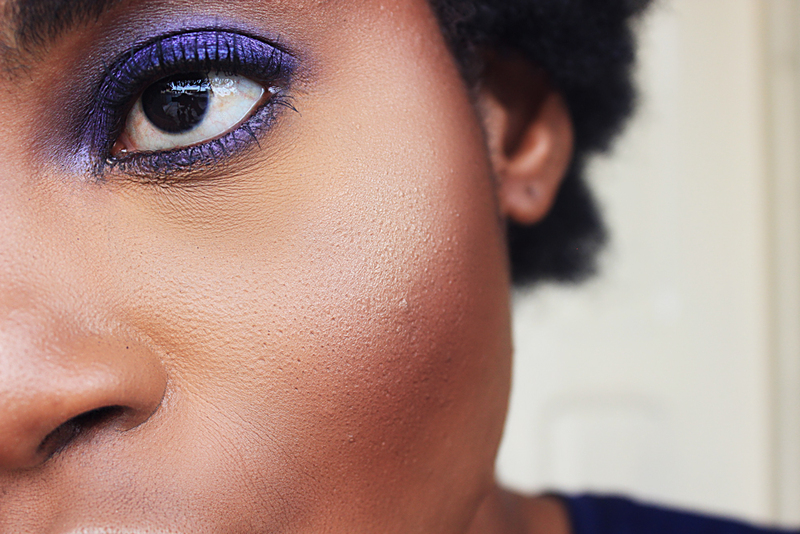 As easy as the smokey eye is, it's a rather complex eye look. There's also the slight matter of achieving it with various shades and colours and techniques. 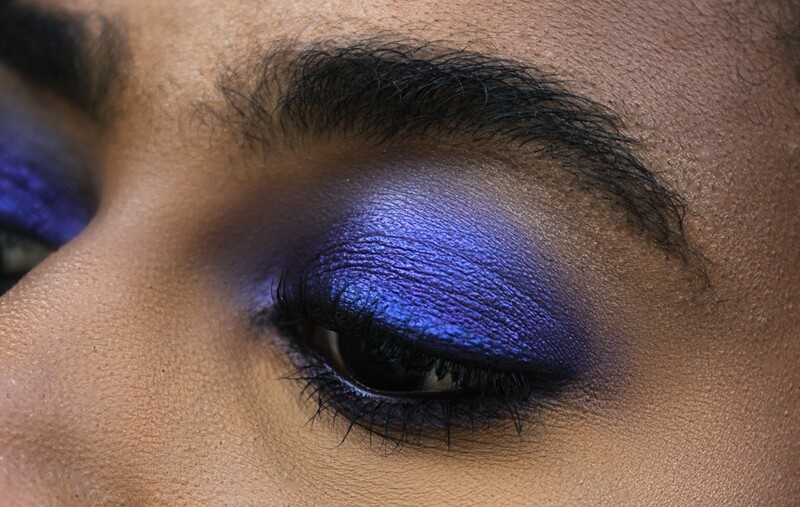 Uhm, I'll probably include the various smokey eye types in this #TutorialTuesday series but for today, we'll be focusing on a super easy, one eyeshadow product only smokey eye with one of my fav eye colours - Purple. Step 1: Start with a cream base on the lids and be sure to take it all the way into the inside corner of the lids. It doesn't have to be the same shade as the eyeshadow, you just need something icky for the product to stick to. Step 5: Apply mascara to the upper and lower lashes making sure to use the 'wiggle and drag' method. I say to use this method because it'll help to closeup any spaces that might be left over from the black pencil line. The key to smokey eyes is blending. The fine art of blending is key to the perfect smokey eye so you need to have a fluffy, dome shaped eyeshadow brush nearby. 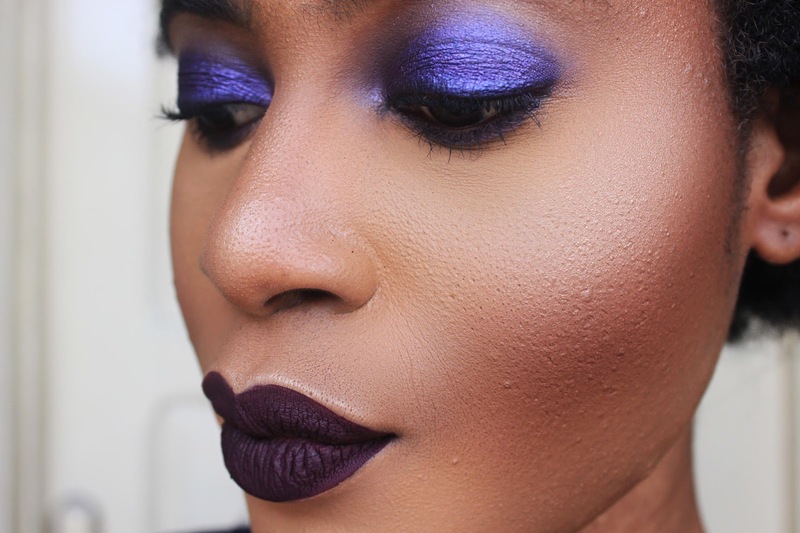 The best part about this particular look is the fact that it is simple enough for everyday wear + the fact that it's quick and easy to do. 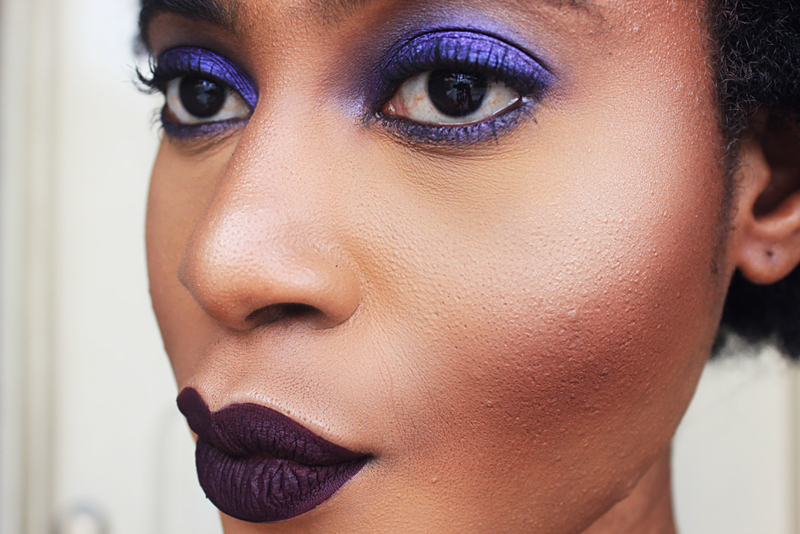 This look can be replicated with virtually any other dark-ish eyeshadow shade. And as usual, there's a video at the top of this post, or you can just head over to my YouTube channel to watch it and others in the series.